Pressure washing around your property can do a lot of things. A good pressure washing can clear away stains and discolourations from exterior spaces but a bad pressure washing can cause unnecessary damage. Renting a pressure washer is as easy as can be, but using one properly is tough. 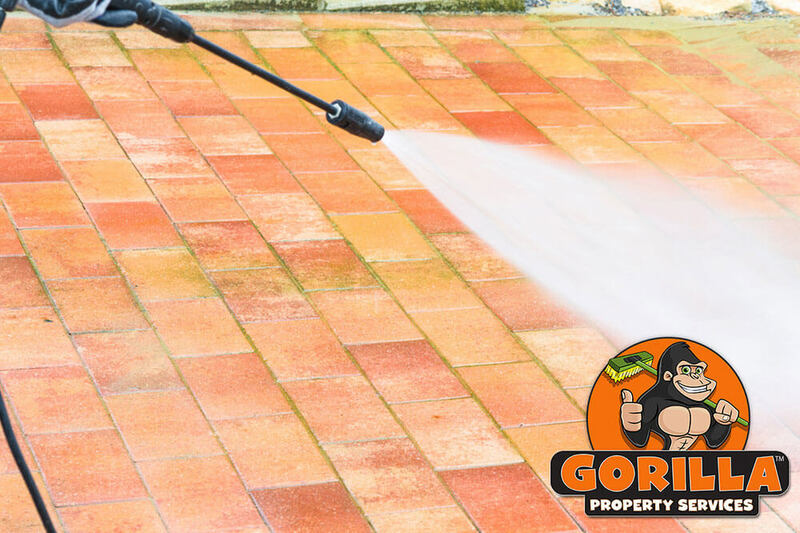 Instead of taking a risk with your property, call a Gorilla for your Wood Buffalo pressure washing service. Our Gorillas have all the experience to get your property cleared away safely and effectively. When Should You Pressure Wash? On average, a basic pressure washing should be carried out annually, with high traffic areas being done twice per year. The reason for this is that dirt, dust and staining builds up over time instead of all at once. Sure, there are obvious stains that can occur, like spilled paint or other materials but problems are more often subtle. Because discolourations are always accumulating, you might not notice them until they are ground-in and tough to get rid of. Avoid difficult stain removal with a bit of help from our Gorillas and a maintenance routine. Leaving staining to sit on your property can actually lead to damage. They might look terrible, but pigeon droppings are also a direct threat to the exterior of your home or business. Certain types of bird droppings are so acidic that they can be corrosive. Whatever type of mess you are dealing with, put it to bed with our Wood Buffalo pressure washing. A lot more goes into operating a pressure washer than pulling a trigger. There are dozens of place that rent out these power tools, but very few that come with a “how-to” guide. Trying to clean off your property without the proper training can lead to damaged materials. When you call a Gorilla, however, you can rest easy knowing that your property is in good hands. By tackling your Wood Buffalo pressure washing in stages, we get the best result every time! With a combination of eco-friendly disinfectant cleaners, Gorilla Brushes, and pressure washers make a trifecta of clean made to suit the exterior of your home or business.